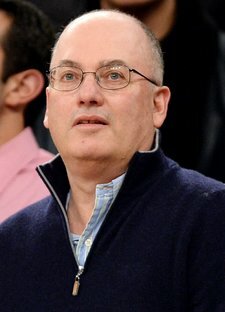 If Steven A. Cohen’s investment firm were operating as a hedge fund, it would have been one of the industry’s most profitable in 2014. Mr. Cohen’s family office, Point72 Asset Management, generated a gross profit of $2.5 billion to $3 billion, said several people briefed on the firm’s performance who spoke on the condition of anonymity. Point72 is the successor to SAC Capital Advisors, the onetime $14 billion hedge fund that Mr. Cohen founded in 1992 with $25 million. Mr. Cohen rebranded SAC after the firm pleaded guilty to securities fraud charges arising from the federal government’s crackdown on insider trading in the hedge fund industry and agreed to stop managing money for outside investors. The firm began operation in April with about $10 billion, mostly Mr. Cohen’s personal fortune. Although federal prosecutors in New York have investigated Mr. Cohen, 58, he has never been charged with a crime. His former firm paid $1.8 billion in fines and penalties to federal prosecutors and federal securities regulators. It is difficult to compare Point72’s performance to that of a hedge fund because the figures for Mr. Cohen’s firm do not take into account operating costs, like the salaries and bonuses paid to Point72’s more than 800 employees. But in a year when the average hedge fund was up just 3.26 percent as of Nov. 30, according to Hedge Fund Research, Point72’s performance is an eye-opener given all the regulatory and law enforcement focus on Mr. Cohen and his firm. Jonathan Gasthalter, a spokesman, declined to comment on the firm’s performance. Just like SAC, Mr. Cohen’s family office mainly invests in stocks, placing bets that a stock will either rise or decline in price. SAC ended 2013, its final full year as a hedge fund, up about 20 percent after accounting for fees and expenses. Over the course of two decades, SAC generated an annual return of 25 percent, one of the highest in the hedge fund industry for a firm that old. Last year was not a good one over all for hedge fund managers who invest mostly in stocks. The average stock-focused hedge fund was up just 2.27 percent as of Nov. 30, according to Hedge Fund Research. So far, the big hedge funds have been slow to report final returns for 2014. One large hedge fund that has reported final performance numbers to investors is David Einhorn’s Greenlight Capital, which ended the year up almost 9 percent, said a person briefed on the firm’s returns. William A. Ackman’s Pershing Square Capital Management is expected to post one of the most impressive gains of any large hedge fund in 2014. The firm, with $14 billion in assets under management, was up about 36 percent as of Dec. 2, according to an HSBC weekly report on hedge fund performance. Mr. Ackman’s firm scored a big gain this year from a bet he made on shares of Allergan. Some of the top-performing hedge funds last year were in the credit space — firms that invested mainly in bonds, in particular bonds backed by mortgages and other loans once seen as distressed. There were also some big losers in the hedge fund industry, most notably firms that invested heavily in energy stocks. 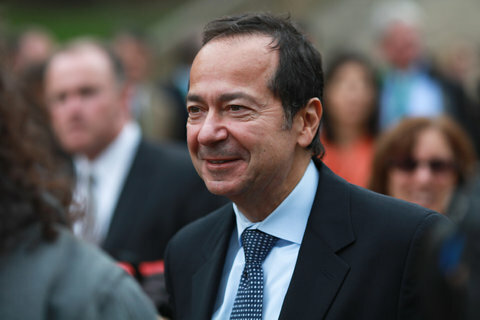 Some of the worst-performing funds in 2014 were ones managed by John A. Paulson, who rose to fame by making billions of dollars from a shrewd bet against the United States housing market in the run-up to the financial crisis. But ever since, Mr. Paulson’s $19 billion firm, Paulson & Company, has posted uneven returns. The Paulson Advantage Plus fund was down nearly 22 percent at the end of November, according to the HSBC report. And the Paulson Recovery Fund was down 15 percent during the same period. A broker at a large Wall Street investment firm said that a few weeks ago he advised his clients who had invested with Mr. Paulson’s firm to redeem their money because of the firm’s overall poor performance. The broker did not want to be identified because he is not authorized to speak for his brokerage firm. A Paulson spokesman declined to comment.